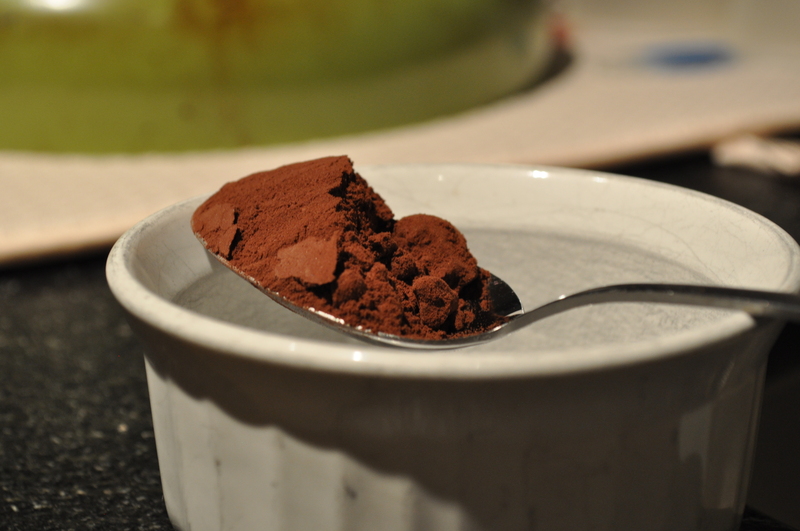 Sift together all of the dry ingredients: flour, cocoa powder, baking soda, and salt. 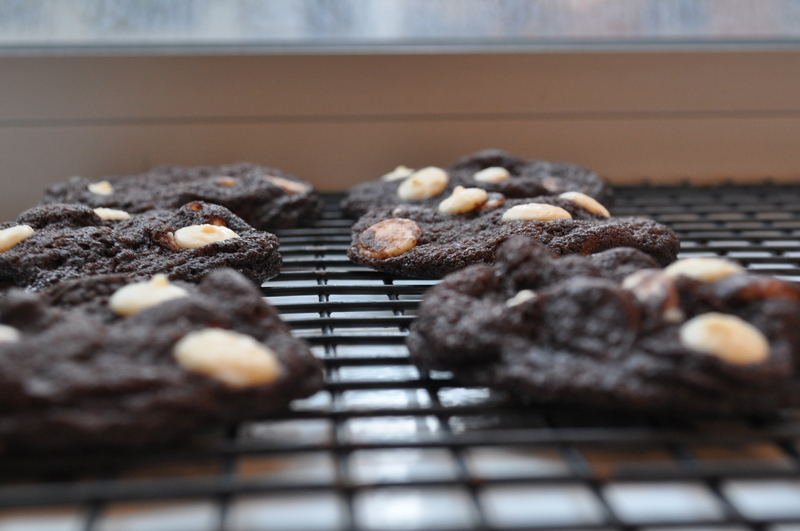 Using a stand mixer or handheld mixer, cream butter and sugar until fluffy, scraping the sides – about 2-3 minutes. Add eggs one at a time, beating after each addition. Beat in vanilla extract. Add the dry ingredients in 3 batches to the bowl, mixing until just combined after each addition. 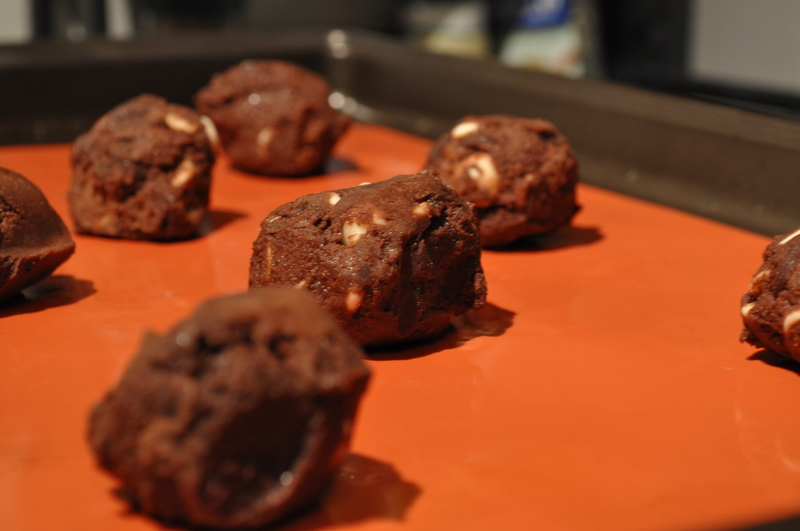 Fold in the chocolate and 1 3/4 cups white chocolate chips. Scoop out tablespoon portions on baking sheet. 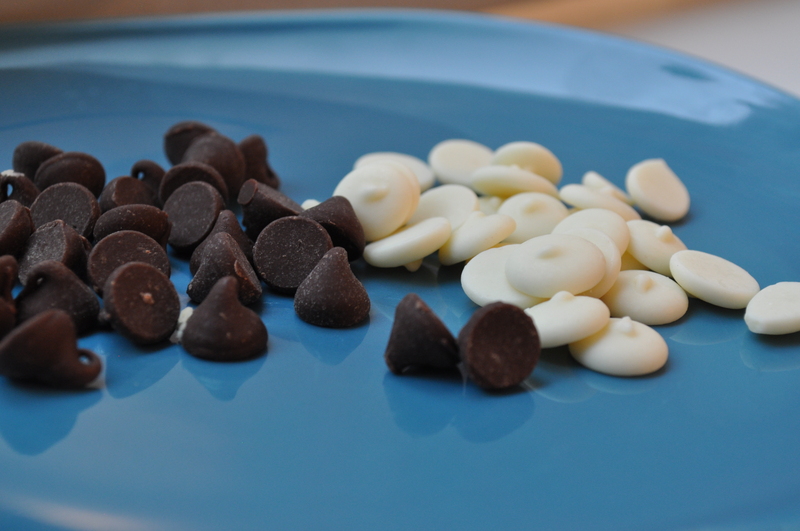 With the remaining 1/4 cup of white chocolate chips, dot the top of each cookie with 3 chips. 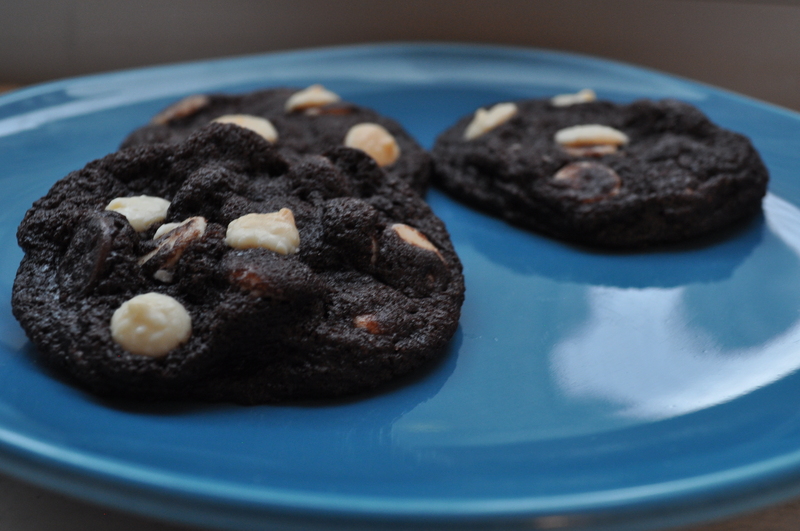 Bake for 10-12 minutes or until cookies are barely done but still soft and chewy. Let sit on baking sheet for about 2-3 minutes. Transfer to wire rack to cool completely. This entry was posted on	August 22, 2013 at 8:33 am	and is filed under Uncategorized.